Thanks to Val (Plot 23) for suggesting this post. A major planning application has been submitted for the land adjacent to our allotment site. Any objections must be submitted within the next few days. 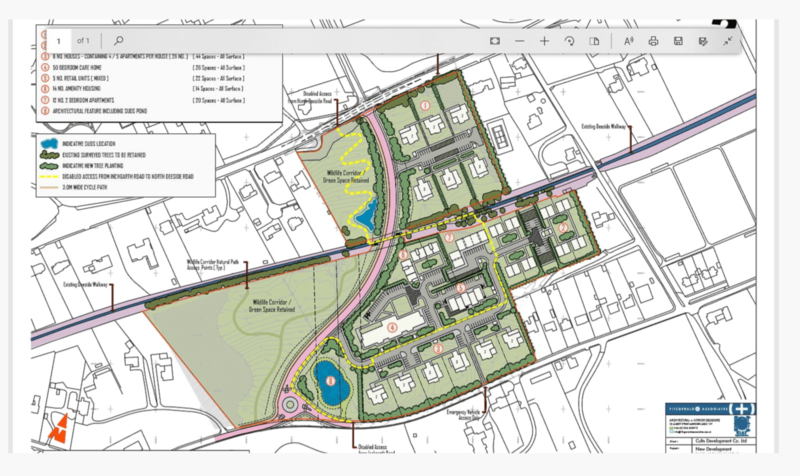 The plan is for a residential-led development for the retired/elderly (including affordable housing), a 50 bedroom care home and approximately 500sqm of ancillary retail/community use, together with public open space and associated infrastructure including a link road. Fuller details are available on Aberdeen City’s Planning Site. The Application reference number is 181224.